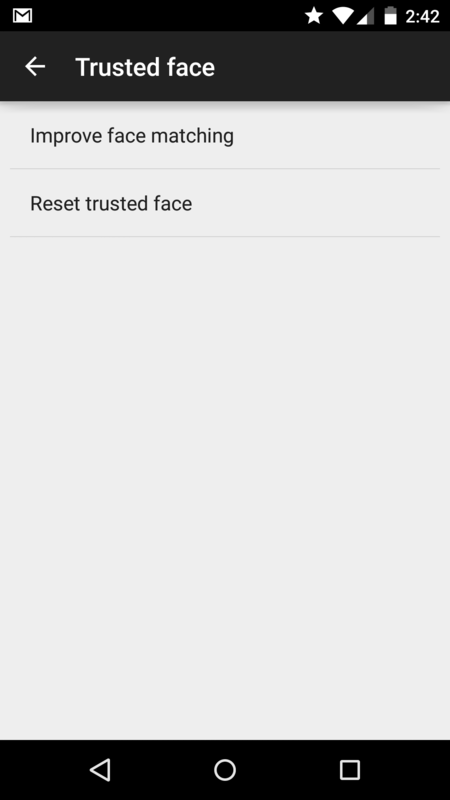 Face unlock was added in Android 4.0, but it was little more than a clever tech demo. It was a pain to use for many reasons, not least of all it actually took longer to unlock the device than a regular lock screen. 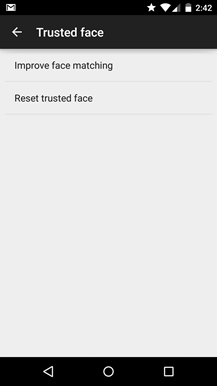 Along with trusted devices, Android 5.0's smart lock functionality includes trusted face mode. It fixes face unlock, and fixes it good. It's seriously amazing. 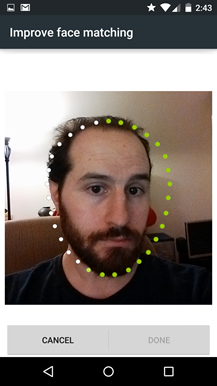 When you enable trusted face mode, you'll do the usual camera learning thing where you stare at the phone for a few seconds. 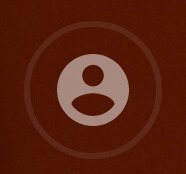 Once that's done, you'll notice a small face icon at the bottom of the lock screen (seen at the top of this post). That lets you know it's looking for your face. No more of the giant camera feed taking up the whole screen as in older versions of Android. If it sees you, the lock screen automatically switches to the simple swipe version. If not, the device will ask for your PIN or pattern normally when you swipe up. The crucial difference here is that you don't have to do anything differently. On Android 5.0, you still swipe to get to the secure PIN/pattern entry when the device is locked because of the notification integration on the lock screen. Simply wake up the phone and swipe to unlock. You'll either be asked for a code or not, depending on whether or not you were spotted. I'd say face unlock is also very fast now. Maybe it has been for a while, but the experience was so bad I haven't bothered to use it for a long time. In Lollipop, a few additional training runs and the phone can recognize me from most angles in less than a second. 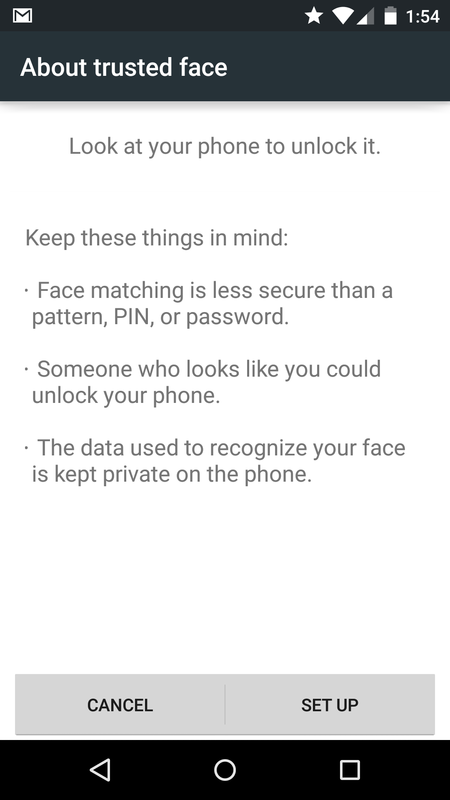 This is how face unlock should be—it's not a replacement for your secure lock screen, it's a way to augment it. 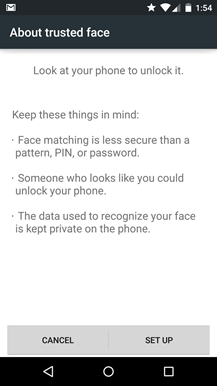 However, do be aware face unlock is still less secure than a PIN or pattern.